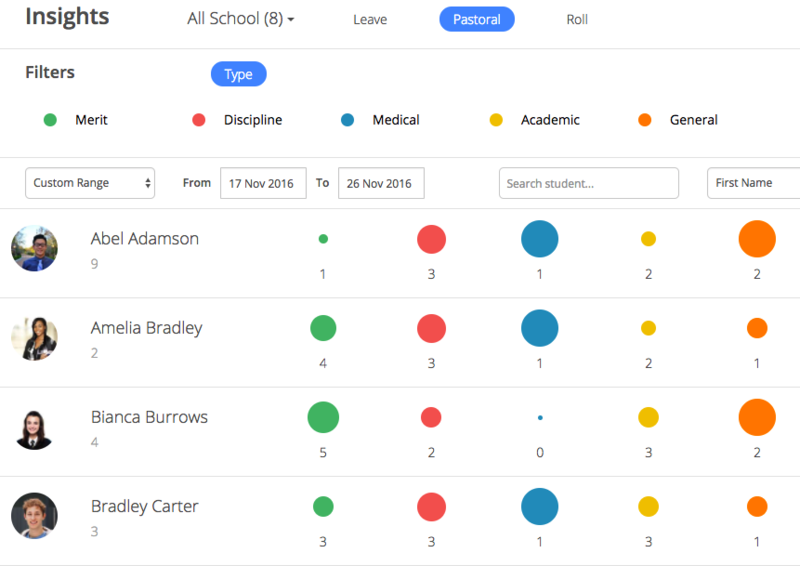 The List View gives an overview of individual students. The size of the circles shows which students have the most counts and compares to the other students in the column. The student that has the most most entries would have the largest circle. Note: The list of leave types at the top can be clicked to toggle on and off. 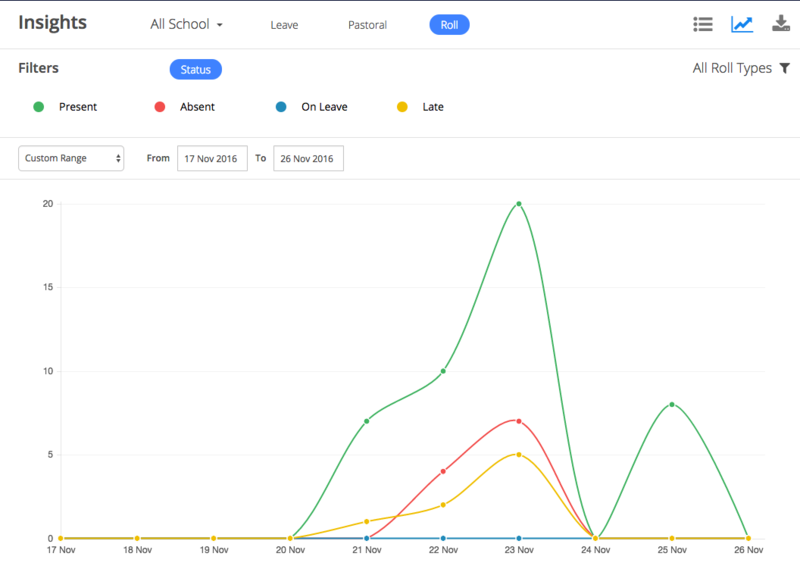 The Graph view shows trends from groups of students/ students as a whole instead of individual students. Click here to return to your Insights page! If you aren't sure how to find the insights, please click here for how.